I was just doing a little holiday shopping for my family when I stumbled onto this deal. 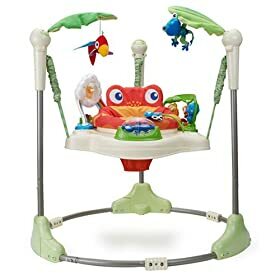 Right now, you can snag the super-popular Fisher-Price Rainforest Jumperoo for $69. That's 27% off the list price of $94.99! This toy is high on the bestseller list for a reason, check out the 644 customer reviews with an average rating of 5 out of 5 stars!